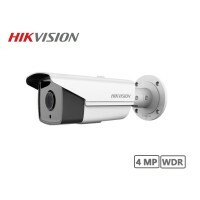 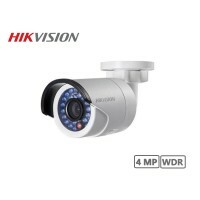 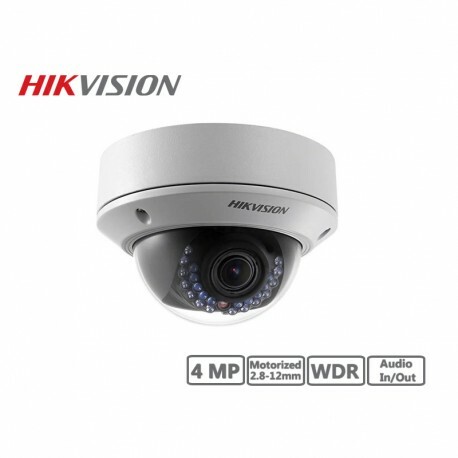 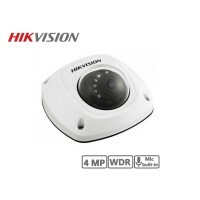 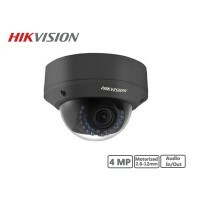 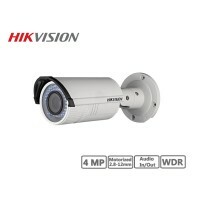 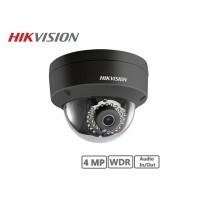 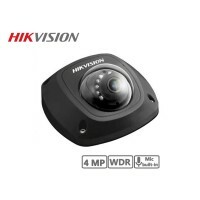 This 4MP vandal-resistant network full dome camera from Hikvision utilizes a 2.8-12mm motorized lens to capture images at a resolution of 2688 x 1520. 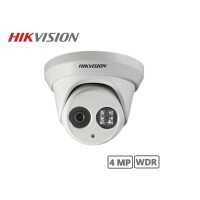 The camera features motion detection, WDR (Wide Dynamic Range), 3D-DNR, and BLC. 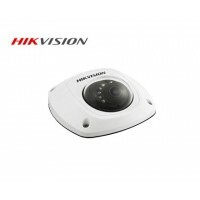 It comes with an IP66-rated housing that provides protection from ingress of dust and moisture. 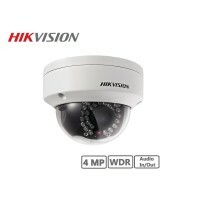 It is also rated IK10 to prevent vandalism.